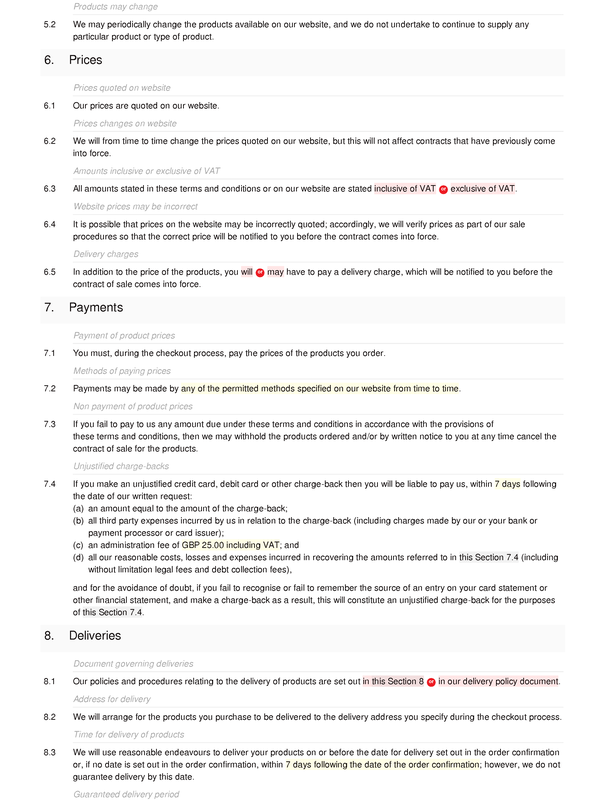 Under this free-to-use T&Cs template, a website operator may contract through the website to supply goods to consumers. 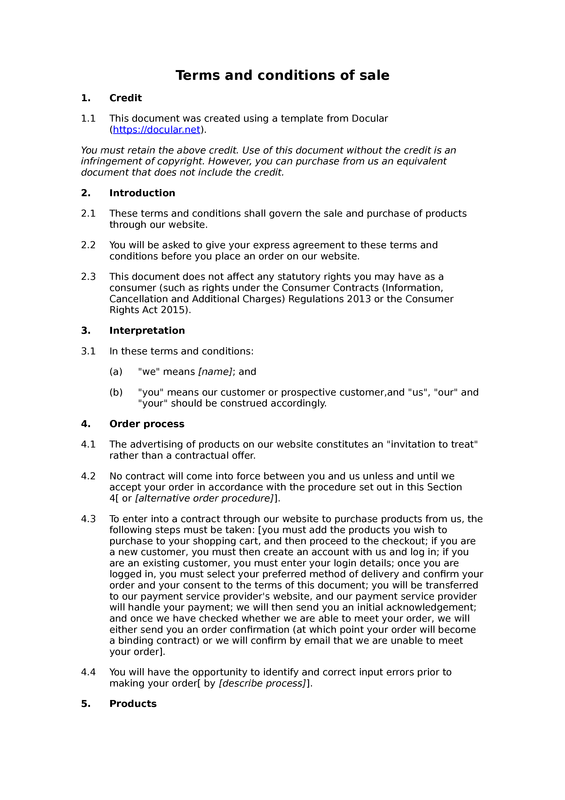 The T&Cs have three main purposes. 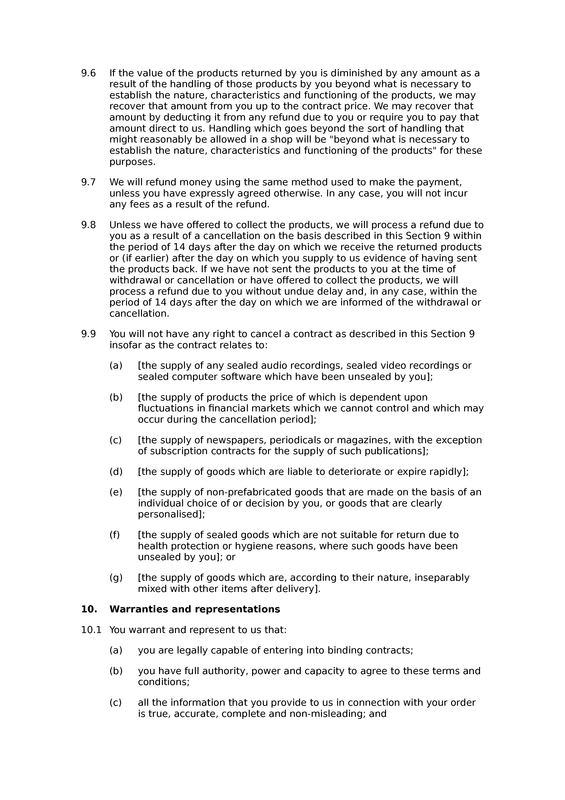 First, they set out the legal basis of the contract between the supplier and the customer. 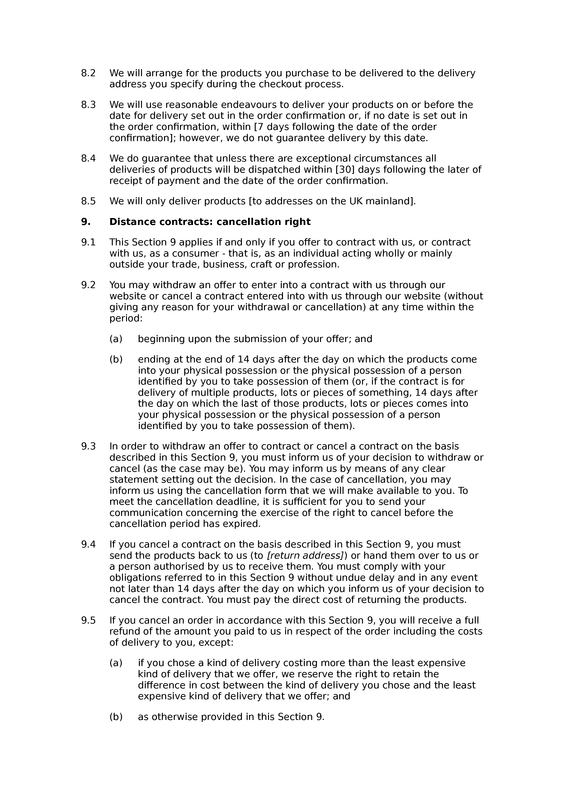 Second, they help mitigate risks to the supplier that arise out of that contract. 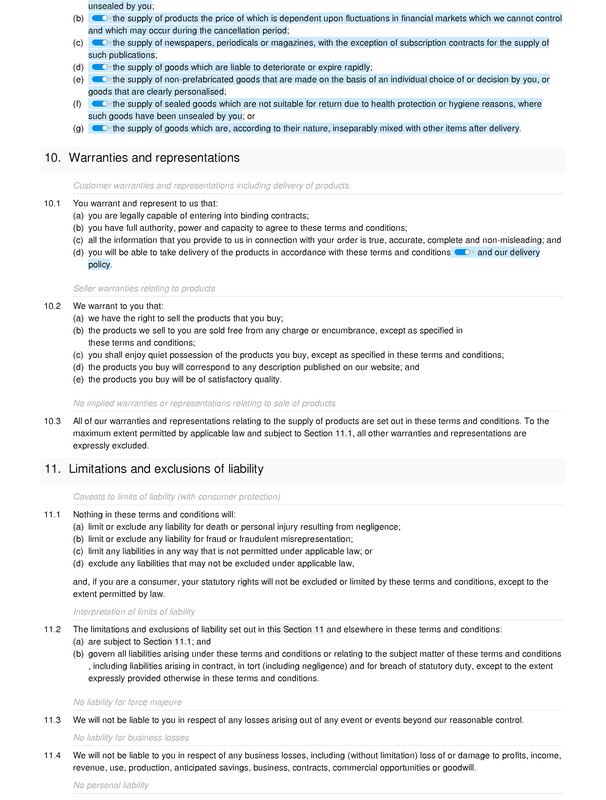 Third, they help the supplier to comply with applicable legislation. 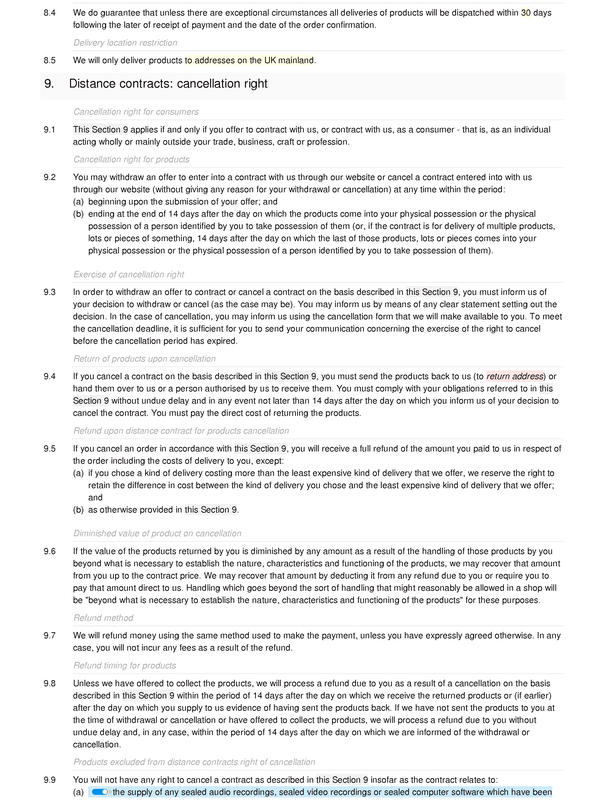 In this regard, the document reflects the latest requirements of consumer protection legislation (including distance selling legislation). 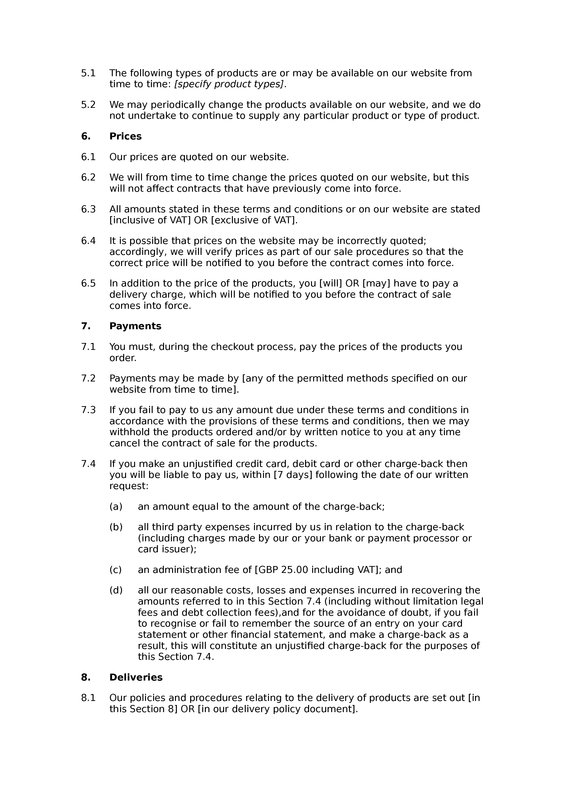 This document should not be used for offline sales or for sales to businesses. Nor should it be used for sales of services or digital products. 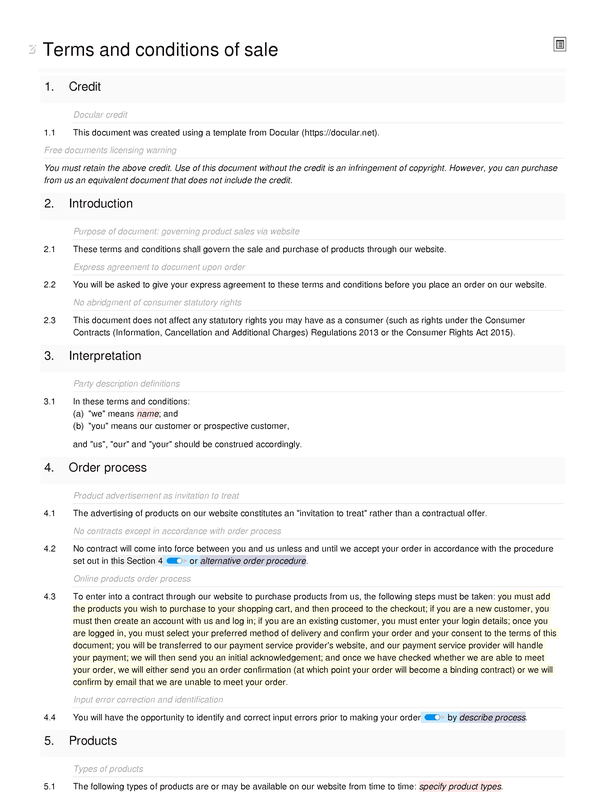 If the products you wish to sell are subject to special regulation of any kind, you should take legal advice before using this template.